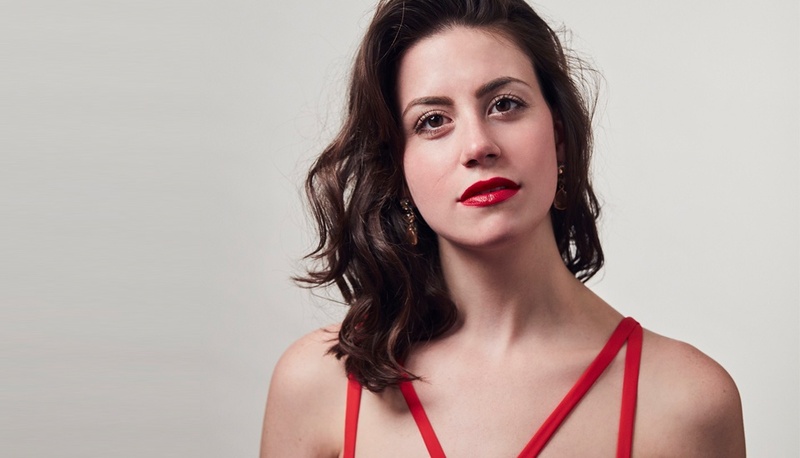 Get to know Jacquelyn Stucker right before she takes the stage with Grand Harmonie this weekend (and makes a move across the pond for a very exciting new gig)! Hello, diva! We are so thrilled to sit down with you, especially before you leave us (hopefully not forever!). You are one of Boston's most fabulous singers. What do you most love about Boston's classical music community? Oh gosh, I’m sure I’m blushing right now! Thank you for those exceedingly kind words. There’s a lot to love about Boston’s musical community, but my very favorite thing would have to be the opportunity to both see and perform music that falls outside of the canon. Yes, the BSO plays the spit out of any Mahler symphony and H+H has a truly stellar annual Messiah—this combined with how high of a premium Boston musicians place on performing music that doesn’t get played and sung terribly often…well, it’s an embarrassment of riches. I like that new music has a place here (for both recording and performing), that obscure masses and crunchy Schütz motets are ubiquitous in the church music scene, and that composers like John Harbison and John Heiss and Michael Gandolfi are so involved and conscientious and present. That more infrequently performed works are regularly a part of programming here in Boston also speaks to the entrepreneurial spirit of Boston musicians—I don’t think it’s unreasonable to suggest that it takes a little more elbow grease (and creativity) to sell tickets to, for example, Delius’s A Village Romeo and Juliet (which, by the way, is definitely overdue for its Boston premiere!) than tickets to Gounod’s Roméo et Juliette, no? In other words, Boston musicians don’t seem to shy away from, musically, charting their own course, and they’re not afraid to hustle to get great music out there in the world. I really dig that. You have an upcoming performance with Grand Harmonie on March 24 and 26. Have you worked with them before? How did you all select "Ah! Perfido" to perform on this program? I’ve never worked with Grand Harmonie before, but I was delighted to be invited to join them for this concert by Scott Allen Jarrett, who I’ve worked with for the past four years and who is, in my opinion, the absolute best advocate for young singers in Boston. And, I think Beethoven’s music sounds even more compelling when played with period instruments. Scott tossed out a few programming possibilities for this concert, but—as punishing as Beethoven can be terms of writing for the voice—this piece was, I think, the most rewarding for the singer, the players, and the audience of the repertoire he suggested. At the risk of growing a bit desultory (but in a totally earnest manner): as singers, we don’t really get to perform Beethoven that often, so I found my way in by doing a lot of listening to his non-vocal works: his Middle Period symphonies, the tenth and eleventh string quartets (for their drama and pathos and sensitivity), the fifth piano concerto. The most difficult thing for me in approaching “Ah, perfido!” and Beethoven’s music in general is getting my ear around the harmonies and around his use of rhythm (and how to make sense of the rhythm with words and without them). But, this isn’t my first time at the rodeo (so to speak) with Beethoven: I sang my the Missa Solemnis with Maestro John Nelson back in November, so I got a bit of an introduction to Beethoven’s writing for voice earlier this season. It’s been a lot of practice to get this concert aria into my body, but it’s been worth every minute of preparation. On top of how technically difficult it is to sing this aria, the text is just so emotionally gut-wrenching – and getting this text out while still singing well is the true test (and the true reward) of singing “Ah, perfido!” effectively. You're an avid runner—how do you balance singing with running? I have a lot of thoughts on athleticism for singers, and my interest in fitness is a big part of my life (so much so that a friend of mine calls me the “broprano”). As for balancing these two activities, time management is the trickiest thing. I’m a long-distance runner at heart (in both the distances I prefer and my temperament), so finding two hours for fourteen miles when I’m on the road can be difficult. But, it’s not impossible – if we, as singers, don’t find a way to prioritize our health, it won’t be a priority, and it’s to the detriment of our physical health (and, by extension, possibly our potential for musicmaking since we make music with our bodies). In terms of balancing it with the physical demands of singing, there’s no conflict at all: if it’s cold outside, I simply run on a treadmill or lift weights. Singing informs my running and running informs my singing: good running posture is good singing posture, and both require a person to breathe deeply and economically – plus, singing is such an athletic endeavor that I’m honestly willing to challenge myself athletically if it will improve my endurance and strength. For example, I sang Susanna at the Santa Fe Opera in a concert of scenes this past summer in the Act II Finale of Figaro, and the director had me literally running after Basilio around the stage while swinging a guitar over my head for the last three pages (where Susanna is singing high A after high A)! Not only did I have a blast doing that particular bit of staging, but it completely made sense with the storytelling and with Susanna’s personality. But, if I hadn’t been a runner, I never could have pulled it off. We hear you're about to make a pretty big move! What can you tell us about it? You must be over the moon! It’s still very surreal, I admit; so much so that I’ve got a serious case of Impostor Syndrome, if I’m being honest. So, the news: I’m moving to London in late August to start a two-year appointment as a Jette Parker Young Artist at the Royal Opera House at Covent Garden. I was just over there last week for orientation, and I am just…well, I’m humbled to be on music staff at that house. I’m hoping to learn everything. Anything. As much as I can. The resources at ROH are seemingly limitless, and they’ve already offered me things like weekly private German lessons and coachings with George Benjamin. It’s patently absurd, in the best possible sense of the word. A lot of your work seems to surround educational outreach with schools and children. What do you love about working with these groups? What’s not to love about working with kids?! The work I’ve done with H+H in their Outreach Quartet has preserved my sanity amid all of the “unseen work” of being a young singer: YAP applications, round-trip-in-a-day visits to NYC (which is juuuuust far enough away for such a jaunt to feel like a Greek epic poem) for a fifteen-minute audition, independent language study, practicing, memorizing, and on and on… It’s easy to feel exhausted and self-centered without the invigorating and other-centered nature of outreach work. Outreach is about, simply, reaching out—about reaching out to people, and that’s a surprisingly easy thing to do. And, it feels really good to do it. For me, it’s all about being open and creative with kids who are, more often than not, able and willing to embrace that openness and creativity in ways that more mature audiences either do not or cannot or will not (for whatever reason). Plus, it’s nice to have a group of kids giggle at your campy jokes! Apropos of nothing musical, your brows are on fleek in your Instagram photos. What are your secrets? Honestly, this is the best compliment anyone could ever, ever pay me. It’s taken years to find the right eyebrow regimen for me, but here it is (in a nutshell): threading (never waxing! ), and I’m all about the brow pomade (as opposed to powder or pencil). Will we see you back in Boston soon? What are your upcoming plans for next season? I’d love to visit Boston again soon, but my first season at Covent Garden will be a very busy one. I can’t share too many details until ROH makes their season announcement, but I can share that I’ll have my Covent Garden principal artist debut next November. Aside from that, I’ll be spending as much time with my husband as I can and running as often as possible. And, I’d really love to run the London Marathon in 2018, so keep your fingers crossed that my ballot is picked in the lottery! I can announce more soon, though, about all things singing-related—everything will be posted on my website, as well as on Instagram and Twitter.